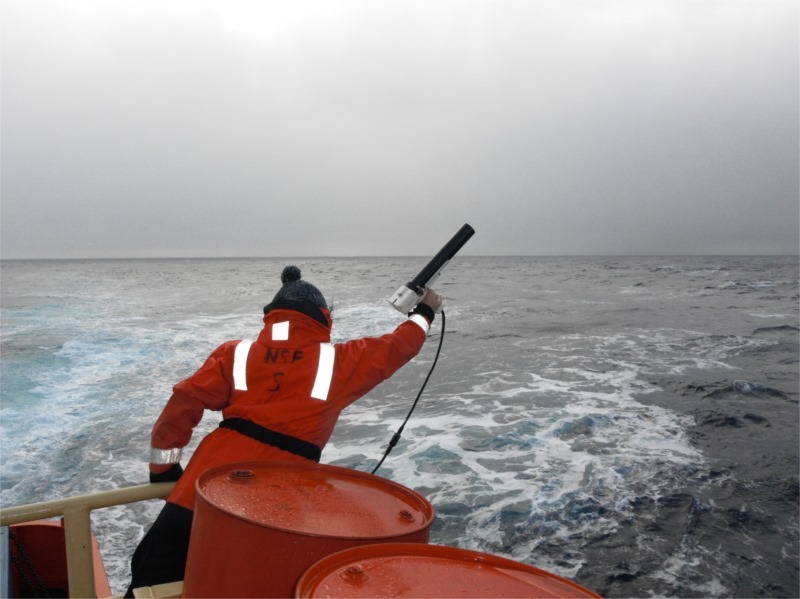 Those of you who have followed my blogs in the past know that the Drake Passage and I are not friends. The Drake is a stretch of open ocean between South America and Antarctica. Often there big waves and storms, but it is always rolly. This year the Drake and I are making peace. I got prescription seasickness medicine, and the Drake only had 10 foot(ish) waves. For once I am up, about, eating, and doing science in the Drake. Nancy Regan was wrong kids; just say yes to drugs… Well motion sickness drugs at least. 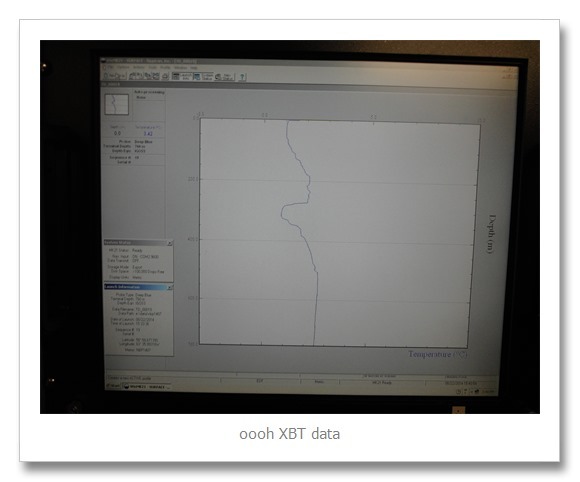 The first bit of science we did was to launch XBTs. 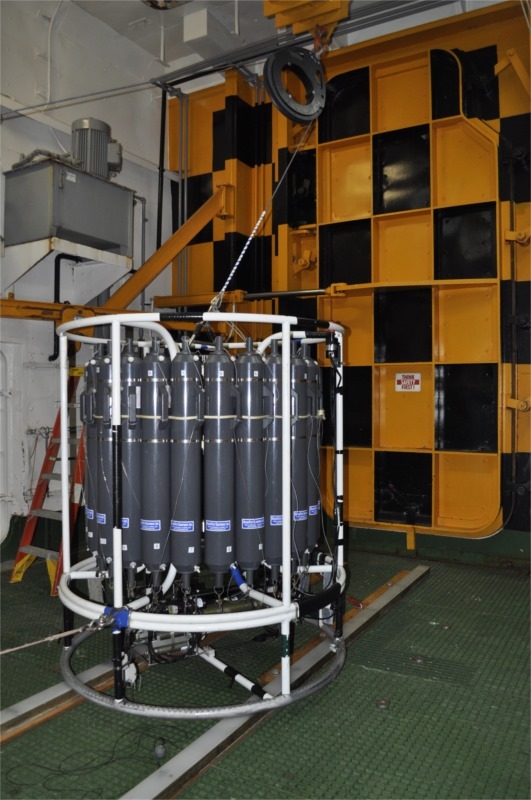 XBTs are water sampling probes. They measure temperature down to 760 meters. 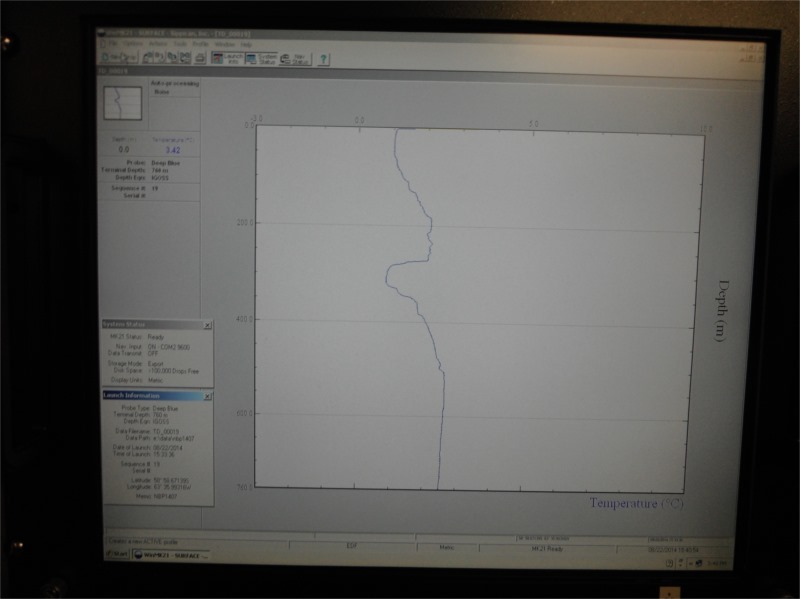 The probe stays connected to the ship by a thin copper wire so that the data can be transmitted in real time. Once the probe crosses 760 meter depth, you snap the wire. 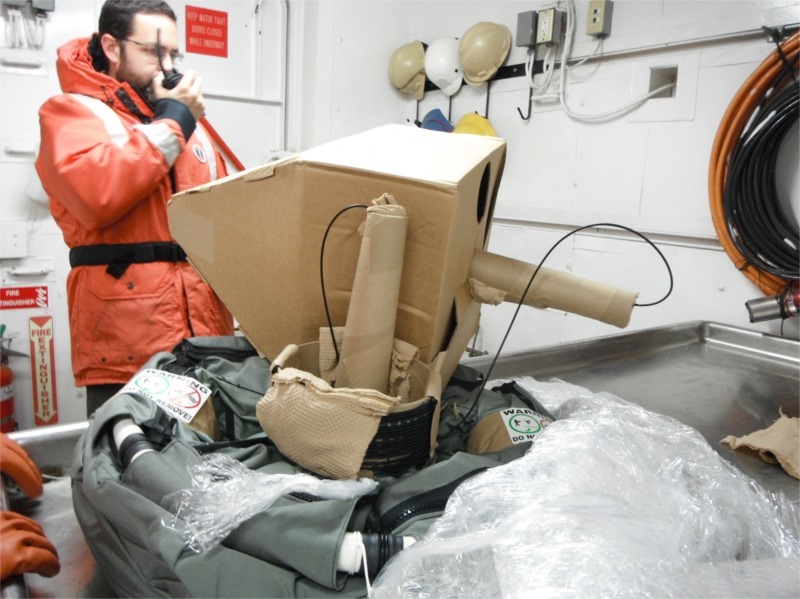 The probe is then disconnected from the ship. 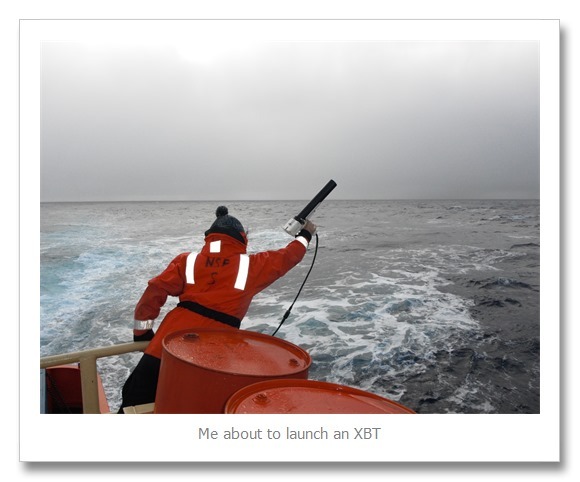 I am betting that in areas of high interest to oceanographers the sea floor is littered with XBTs. Sadly there are no flames or triggers involved in launching the XBT. You just make sure the copper wire is connected and then tip it overboard. We launched XBTs every 90 minutes for 24 hours. The last one I launched was at midnight, when it was blowing 39 knots and lightly snowing. Yeah, I am tough. 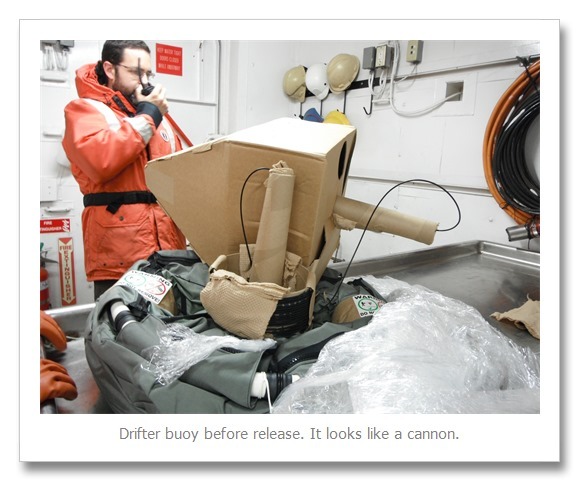 We also launched a number of drifter buoys. The buoys will float for up to two years and transmit information on sea surface conditions and current speed using a satellite connection. 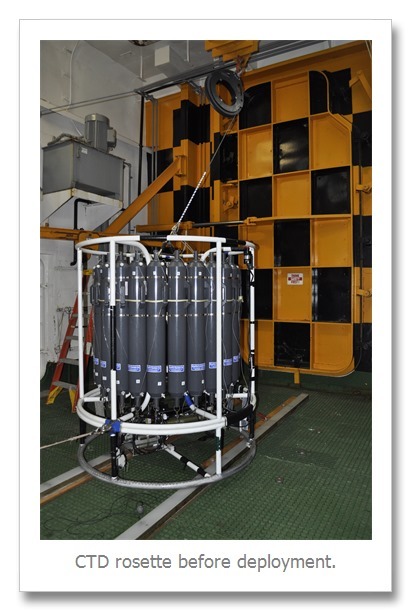 We are also starting to practice with the gear we will be using to collect the bulk of the data for this cruise. 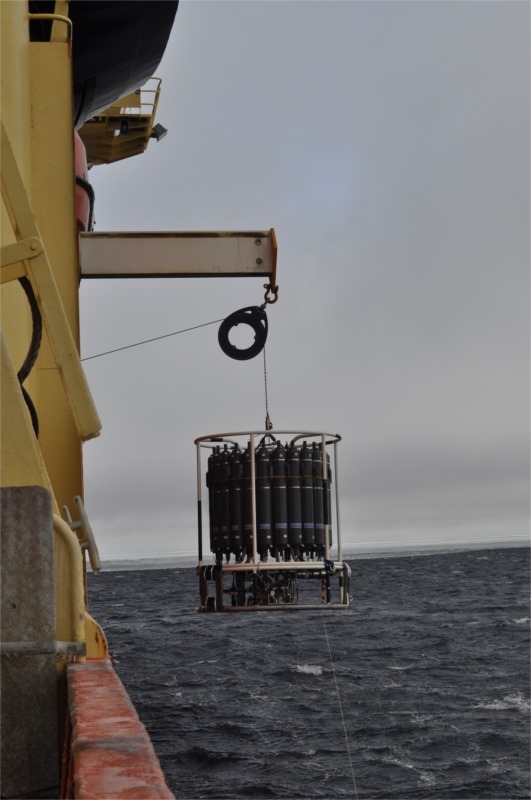 We did a very quick CTD (Connectivity, Temperature, Depth) cast to collect water samples at different depths. The big checker doors open on the side of the boat at water level. The CTD is then lowered into the water while to boat is still moving forward. The bottles are triggered to open and close at specific depths. 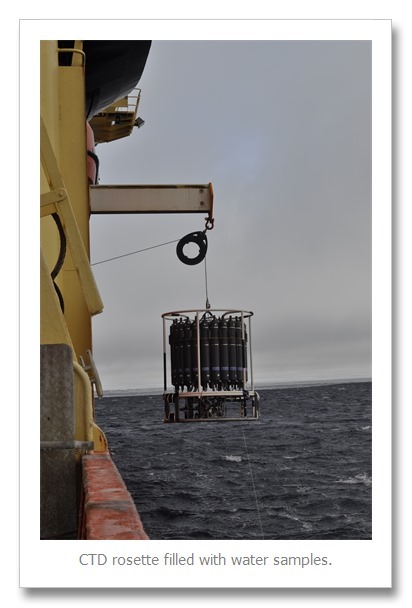 The first CTD cast was quick and shallow, just to get some phytoplankton (algae) samples on board.